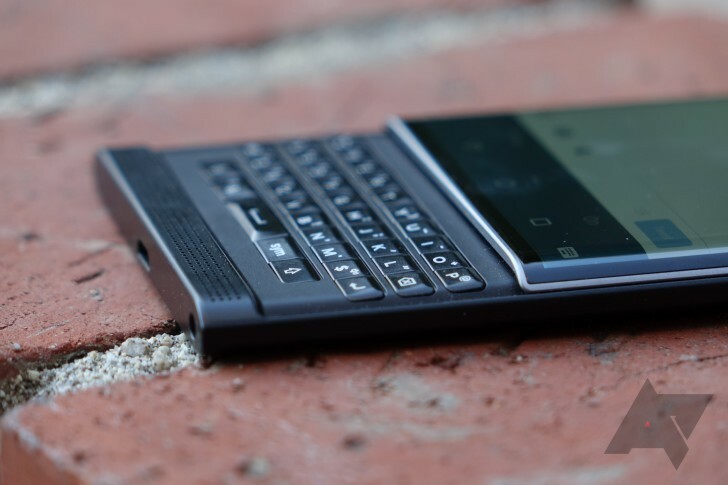 BlackBerry launched its first Android phone with a promise of speedy updates to maintain security. The company is off to a good start at least. The first OTA for the Priv is rolling out now to unlocked devices, and it'll be available to carrier-branded units beginning on December 7th. It updates the security patches, tweaks performance, and more. BlackBerry was kind enough to post a quick changelog so owners will know exactly what's new this time. 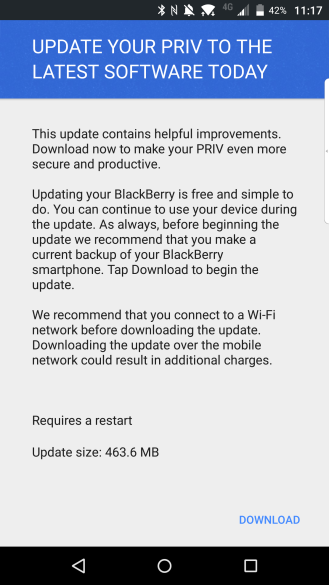 The Priv is still on Android 5.1, but the deployment of the December security patch should fulfill BlackBerry's promise to keep the device secure. Even though the version isn't changing, this is a sizeable update at about 463MB. 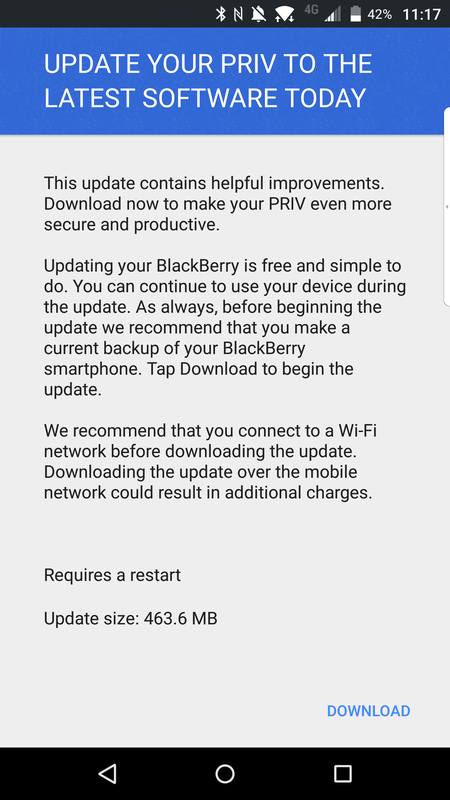 In addition, several Priv apps will be updated via the Play Store beginning December 14th. They include the following. You should be able to get the OTA in the system update menu on unlocked phones right now. We had to wait a few minutes for it to show up on our test unit, but it's technically available.